Some couples automatically think a destination wedding will be cheaper and lean towards having a wedding away. Destination weddings can be cheaper than a local wedding; however, that’s not always the case. It depends on so many different factors to keep a destination wedding affordable. Today, we will discuss these cost saving tips to pull off a destination wedding on a budget. Sure, you can do a wedding on a shoe string budget, but first determine your wedding budget before getting started. What are you comfortable spending for your big day? Will anyone be contributing to your wedding? Do you have funds already available or will you need to save up? What are your priorities for your wedding? If you’re not sure how to set a budget, we suggest getting some outside help. You best bet is to chat with a destination wedding planner or destination wedding travel agent. They have the experience working with different budgets and can let you know if yours is a realistic one. If it’s not, they can provide you options within your budget. The most important part after determining your budget is the wedding destination you chose. If you have a small budget or a very tight budget, some locations will be eliminated early on. After all, some venues will be out of your budget and that makes the decision easier. I always find having two or three countries on your list. You can then narrow down the options by discussing which one may get you the best bang for your buck. Another thing to think about is currency. Especially if it’s a different currency than the one you currently use. If you’re a US resident, getting married across the border in Canada can really stretch your dollar. Whatever destination you chose, steer away from peak season and major holidays (spring break, Easter, Christmas etc. etc.). Travelling during that time is at an all-time high and the cost will reflect that. If you want to keep on budget, picking low season or even a time frame (Ex. next summer for that tropical wedding) will help a great deal before narrowing it down to a specific date. The more flexibility you have on dates, the more options you will have. Here are some of my best travel tips from my years working as a destination wedding planner. Determine where your family and guests would be traveling from. Would it make sense to choose a place on the other side of the world? Most likely not. If it’s a hard place to travel to, you can guarantee a smaller turn out. And fewer guests equals more savings. Book early to save. The more time you give yourself and guests, the better options and savings you will have. Book at least one year in advance, if not more, for a destination wedding. My recommendation for tropical beach destinations is at least 15 months in advance. Bundle costs for your guests, so they know how much everything will cost. We’re lucky in Canada that we can bundle flights, transfer services, and accommodations for a wedding group. Choosing to have a wedding during non-peak season can save you on your accommodations. It can also save on flights. Travel costs skyrocket during holiday weeks or long weekends. Look up the holidays at your destination of choice. This is often overlooked and will drive the cost of everything up. I discuss with all my engaged couples about the number of guests they are inviting. I then ask them about the number of guests they think will come. This is always a guess, but most couples know who will most likely be attending, especially if it’s immediate family. If you are hoping to keep your guest list 50 and your budget is determined for 50 guests, over inviting isn’t going to help you to stick with your budget. Also, inviting everyone you know so you don’t hurt anyone’s feelings is always a gamble, since some guests that you thought wouldn’t attend, could end up attending. 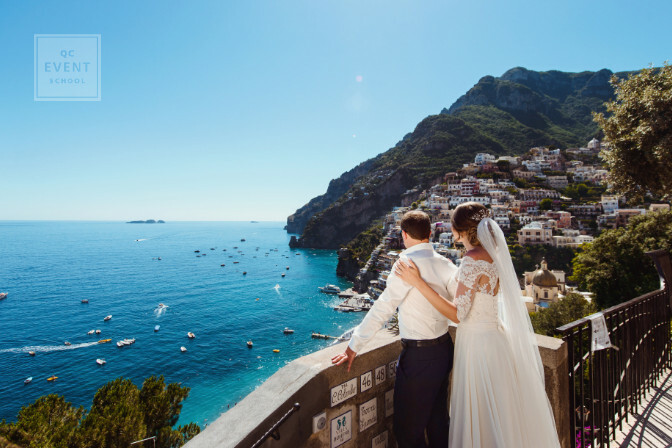 Nowadays, since destination weddings are planned so far in advance, guests are also using it as a vacation opportunity. 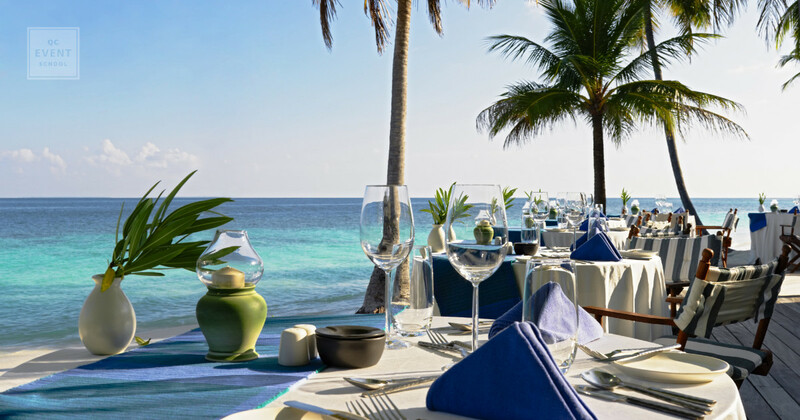 Keeping the initial invite list small will save you money as most resorts and venues price food and alcohol per person. This is definitely something to keep in mind when putting together your guest list. I find many couples have the misconception that having a wedding at an all-inclusive resort will be affordable or free. In most cases, that’s not true. Usually, the all-inclusive element is limited to a ceremony and for a certain amount of guests, and it’s usually a bare-bones option. When you start to add in more guests, dinner reception, event decor, floral design, photography, and a DJ, that free wedding is now well over your budget. 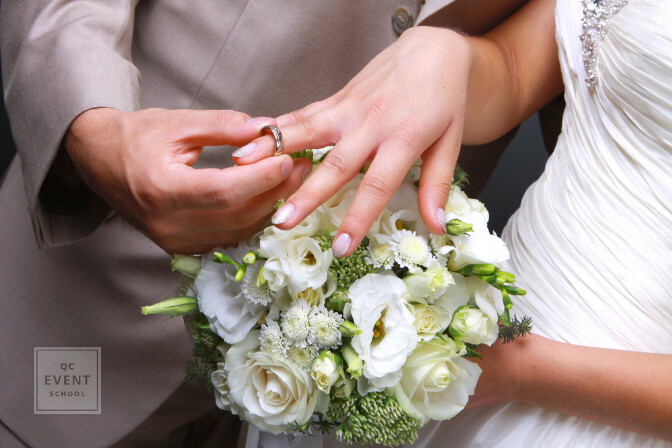 When considering a resort or venue, review their wedding options and packages. Sometimes, all those little extra’s come with a high fee, especially if it’s something that needs to be sourced. Re-use, and re-purpose items from your ceremony for the reception. The ceremony florals can be re-purposed for your head table or the chairs sashes can be used at your guest tables. 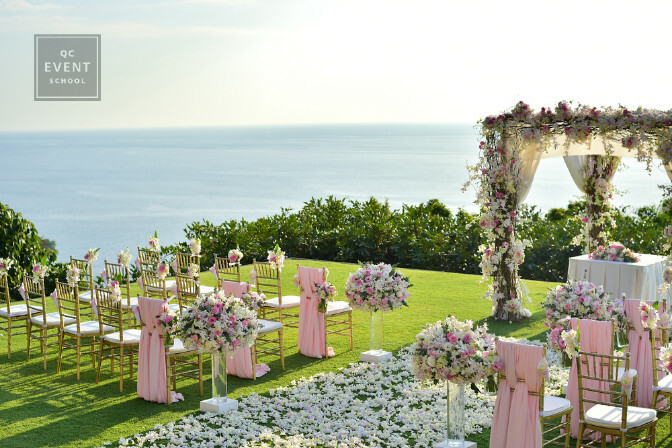 Or, if you’re having a tropical beach ceremony, let the surroundings be your decor. 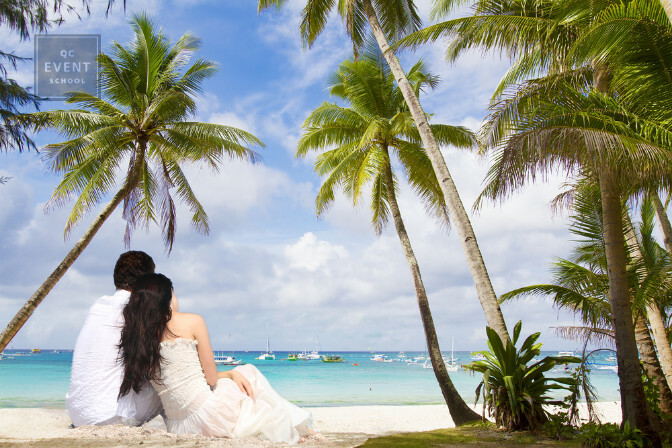 Planning a destination wedding can be an overwhelming task, but it doesn’t have to be. Consider working with an expert. As you plan your dream wedding, set your budget early and remember to be flexible. Working with a tight budget may mean having to cut back on certain expenses, such as those fire dancers for the reception entertainment or those useless wedding favors. It’s essential to stay focused on the bigger picture: getting married, making memories with your guests, and embarking on this new journey as newlyweds. Are there any other money-saving tips we missed? Leave us a comment! Do you live in a small town but have big dreams? Find out how to become a wedding planner in a small town!